People nowadays go to a free logo creating websites, put some shapes or vectors and add their company name. Those who are following this path is clearly destroying their company future. A logo is a part of the company’s marketing arsenal, which represents your company 24X7, even in the places you can’t even imagine. Taking an expert solution is a wise thing to do. When a customer comes to a professional logo designer like you, you will need these logo mockups to present your designs elegantly to the customer. The first-thing every professional logo designer keep in their mind is “keep it simple”. Logos are something which will be used in different parts like billboards, packagings, watermarks, ad banners, and the list goes on. No matter how many tortures you do to your logo, it must withstand everything and represent your company. The logo mockups in this list give you different types of textures and materials, with which you can clearly show how your logo look in day to day life. When we think of logos, some like to keep it minimal and some love to make it colorful, based on their company type and target audience. Either you are making a simple black and white logo or vivid colorful logo, these logo mockups can handle it effortlessly. All you have to do is to pick the mockup that fits your need and start editing it to add richness to your logo design. If you are creating a logo for professional organizations like law firms or others related to it, then this is the mockup for you. With this mockup, you get seven photorealistic mockups. Mostly envelopes and seals are included in this mockup. So you can use this mockup for companies and corporates without any hesitation. Textures and layers are properly maintained so that you get a realistic look. Properly treated photoshop layers have made your job really simple. All you have to do is to add your logo design in the desired layer and showcase it elegantly to the clients. As told before, logos are going to be used in different materials and in different places. Showing your logo designs on different materials and finishes will give a clear idea to your clients. The textures and the material natures are preserved so well by the designer. No matter what type of design or color you use on this mockup, they will be shown neatly. The designer of this mockup has used high-resolution images of 1200×1200 resolutions. You can easily scale the images and also can zoom in on the image without breaking the pixels. In the download file, you get six PSD files and all of them are easy to edit. Designing logo for apparel brands is something very crucial. The logos must look great on their products as well. No matter what type of material they use in their products, your logo should represent their brand clearly. If you have created an elegant looking logo for such apparel store, this mockup will come in handy. With this mockup, you can clearly show how your design will look on the paper and on the apparels and cloths. In the download file, you get six PSD files with different scenes and textures. The textures are captured so well on this mockup so that they give a realistic look to your design. Three-dimensional designs will give a better understanding of your design. If you are planning to use the logos in your office interiors or on the walls of your building; 3D presentation will give a clear idea. The creator of this mockup has made your job very simple. You no need to adjust or extrude your logo to show it in 3D. All you have to do is to place your logo design on the required smart object holder. Rest of the magic will be done by the mockup itself. Five styles are included in this mockup and all of them are completely editable. You can adjust the shadows and backgrounds as per your requirements. This mockup bundle is for professional logo designers and design agencies. If you have to deal with multiple projects and need to save a lot of your time in creating a presentation, this is the solution for you. As the name implies, this mockup has 50 pre-made logo mockups. From merchandise to stationary almost all elements are included in this bundle. All the major categories are included in this mockup so you can use this mockup for all types of projects. With this mockup, you can show your logo in different real-world scenarios. The best part is all the scenes in the mockup look surreal. 100 Logo Mockup Branding Bundle includes scenery and embossed papers to elegantly show your design. The creator has given you options to change textures and also to change the color of the textures. Since all the elements are treated as a separate layer, you can edit the logo and the scene easily without disturbing one another. You also get pre-made logo templates in the Illustrator format so that you can easily scale the element without any loss in quality. The creator has given video tutorials to help the beginners to work with this mockup easily. This mockup bundle is a more affordable one than the 50 mockup bundle mentioned above. As the name implies, this mockup is particularly designed for paper materials. If you have to show your logos in different cards, menus, invitations then this is the mockup for you. This mockup is designed so carefully so that you can even show an embossed model of your logo design. The designer of this mockup has given you the option to adjust the depth of field so that you can easily adjust the 3D embossment of your logo. Different texture finishes are also given in this mockup to add a rich feel to your logo design. This mockup is designed for present-generation users. The mockup includes all the elements which the modern use a lot in their day-to-day life. As the name implies, this mockup mostly includes stationery items. The neat gray and dark color scheme gives a rich luxury feel to your logo design. But still, you can change the color scheme as per your design needs. If you are creating a logo for an accessory manufacturing company, then this is the perfect mockup for you. All the elements can be used as such without making any changes. The only thing you need to do is to add your logo to the mockup. You don’t have to be formal all the time, sometimes you can be creative in your presentation. When your creative personality knocks the door, you can use this mockup. In this mockup, you can artistically show your logo on a coffee foam with coco. Yes, of course, you can use this type of mockup only if you have a very simple one letter logo or something like that. This mockup can also be used if you are making a logo for food-related businesses like coffee shops and restaurants. The foam textures and layers are treated carefully so that they look natural in your presentation. This is another three-dimensional logo presentation mockup. With the neat minimal background, this mockup highlights your logo elegantly. If you are an interior designer or constructor you can use this mockup to show how the client’s logo looks on the office walls. Three different styles are given in this mockup file and all of the Photoshop files. The properly organized PSD layers will save your time and give photorealistic images. Even beginners can work with this mockup. 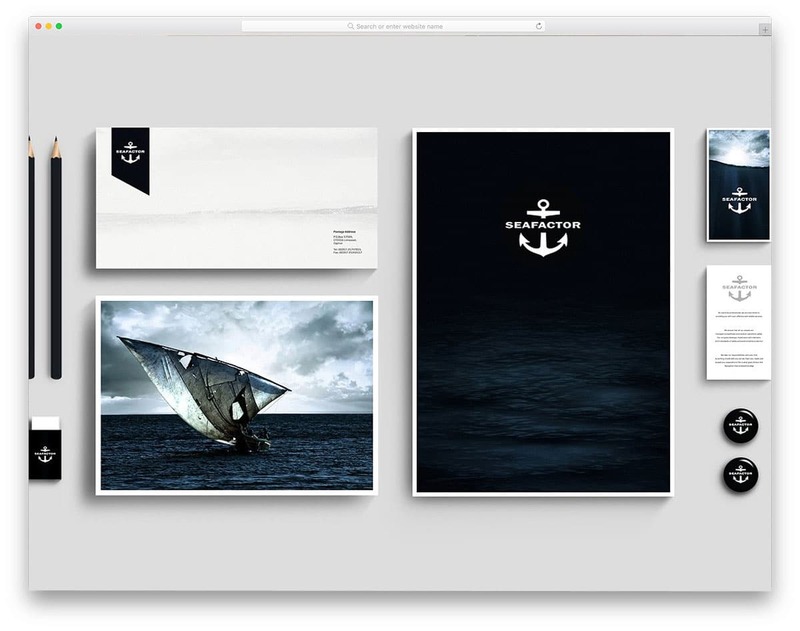 The creator of this mockup has included help documents in the download files along with the Photoshop files. Corporate Stationery Mock-Up is another stationary based mockup. Showing your logo design with this type of mockup help you to show the branding capability of your design. As it is a stationary set, you get files, papers, and envelopes. The images are taken under perfect lighting conditions so that the quality remains the same even if you change the background. Along with the background, you also can change the textures of the materials given in this mockup. As a package, you get six PSD files and along with it you also get PDF and JPG files. Shadows give a realistic touch to the mockup and you may adjust it, the link is below you can check it by yourself. This logo mockup collection is for branding and design agencies. Right from business cards to apparels, everything is included in this mockups. So if the company has an idea to introduce their own merchandise in the future, this mockup will help them get an idea. As a package, you get 16 PSD files and each of them has different elements. Since the files are organized properly you can easily find the file you want and can start editing it in no time. Some of the elements in this mockup support depth of field adjustment to give a realistic embossed and 3D effects. From the name itself you can understand that this mockup has pure branding mockups. Branding starts from our websites, products, and our offices; from there it will slowly grow to the consumers. 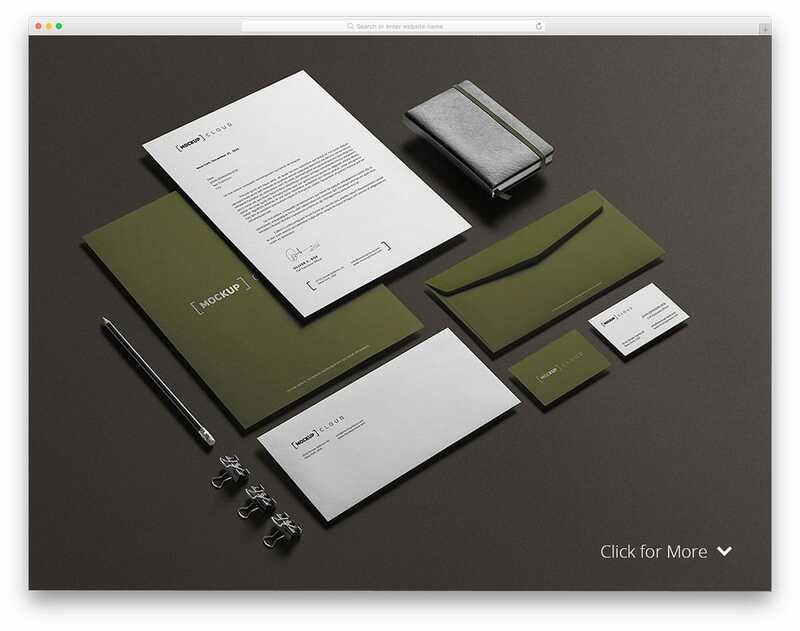 In this mockup, you get office elements like stationaries, files, envelopes, cards and identity cards. Apart from the stationary elements you also get iPad in this mockup. If you have designed the brand’s website or application, you can show it in the iPad. This mockup will come in handy for design agencies, who take care of everything. Eight different PSD files are included in the download file. As usual, you can edit the background and can do all other normal stuff with a mockup. 80 Logo Mockups Bundle, as the name implies this mockup bundle has 80 pre-made logo mockups. No matter for what type of business you are creating your logo, this mockup will help you. The designer of this mockup has included almost all famous niches to make it a one-stop destination for your logo presentation needs. You can almost every aspect of the elements like shadows, depth of field, and sizes. Just add your logo and adjust the mockup to add richness to your design. All the images in this mockup set are high-quality images so your mockups look natural. The user or clients can zoom in and see the design details without any loss in image quality. This logo mockup bundle is designed particularly for the clothing and apparel companies. The logos for a fashion or apparel company should not only look elegant on papers but also on their products. Using this mockup you can clearly show how your design will look on clothes. The creator of this mockup has included 17 PSD files and each has a different type of dress material. All major type of dress materials is given in this mockup to give a clear idea of your design. The PSD layers are handled with care so that you get a realistic image from this mockup. This is another mockup bundle which can be used for brand stores and salons. With this mockup, you get signages, cards, and apparels. In all the elements their properties and characteristics are maintained properly. As a result, you get a photorealistic image out of this mockup. All you have to do is to add your logo to this mockup. Rest of the things are already taken care by the creator of the mockup. You also get all the customization options that you would normally expect in a premium logo mockup set. Detailed documentation is also included in the download file to help you start easily. 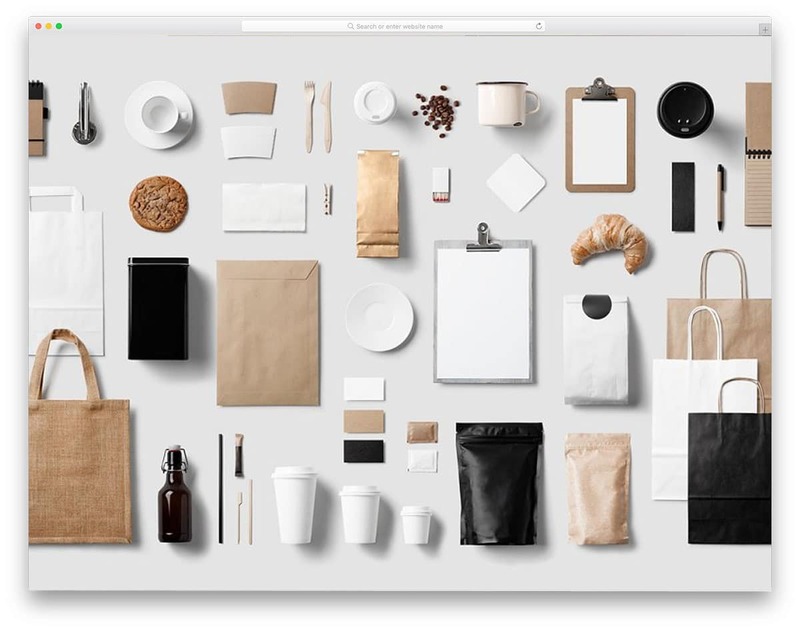 This brand mockup kit is designed exclusively for the coffee shops and restaurants. Whether you are running only services or selling your own ingredients, this mockup got you covered. It includes all the elements related to the coffee shop. You can add your logo and create a branded setup in no time. Along with the mockup image, you also get patterns and background images. You can create your own scene using all these elements. With this mockup set, you get 50 items and all of them are easy to customize. You can combine all the items and create photorealistic scenes. This logo mockup from Unio is a regular logo mockup. You can use this mockup for all types of business logo presentation. This mockup includes paper elements. The creator of this mockup has given you the option to adjust the depth of field so that you can give an embossed look. You can also change the color and the texture of the paper to give a rich look. 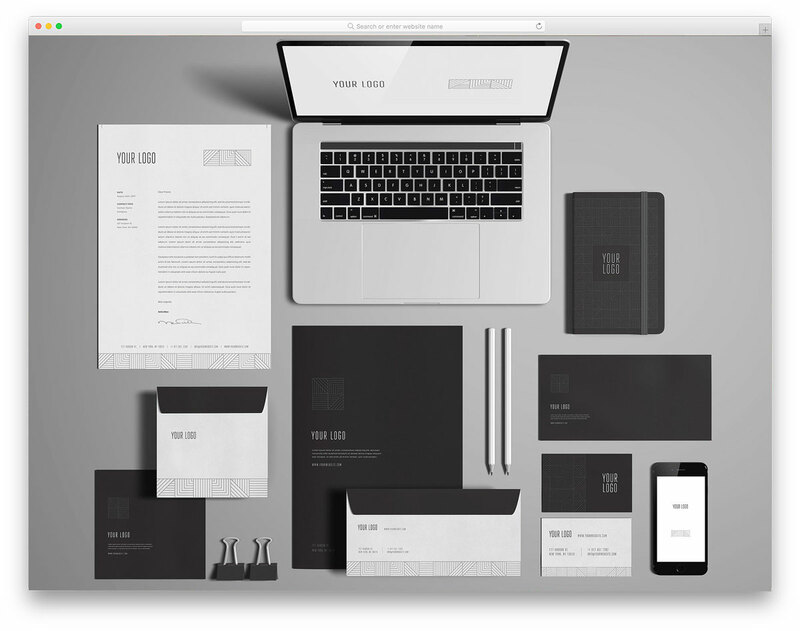 With this mockup, you get five types of papers and seven types of logo effects. All you have to do is to add your logo and select the options you want to make your logo look attractive. Realistic Logo Mockups Vol.1 is almost similar to the logo mockup by Unio mentioned above. This is also a multipurpose logo mockup kit, which you can use for all types of businesses and brands. This mockup also gives you different textures and finishes in the set. But, you can easily switch the textures as you done in the mockup by Unio. In all the mockups you not only have properly organized layer but also properly optimized layers to give realistic images, As a mockup set, you get six different PSD files in the download file. All you have to do is to add your logo design and present it elegantly to the users. Textured Logo Mockup Pack is the best choice if you are designing a logo for a textile company. In this mockup, you get different textures of different materials. Along with cloth material this mockup also has different types of papers. Hence with this mockup, you can show how your design will look on the papers and on the clothes as well. In the download file, you get seven different styles and all of them are easy to edit and also to scale. Since all the images are high-quality images, you can zoom in up to 100% without any loss in the quality of the image. Photorealistic Logo mockup bundle is another mockup set for corporate offices. This mockup can also be used for professional firms like law firms, financial services, and other such services From cover design to seal everything is included in this mockup. Proper lighting and shadows give a realistic look to the mockup. With this mockup also you get almost all type of customization options. All you have to do is to add your logo and start editing it as per your design needs. With this bundle, you get 14 PSD files and all of them are easy to edit.